What is serum? Serum is the liquid left over after blood has clotted. It is quite easy to obtain, transport and preserve long term, unlike anticoagulated blood. What is it used for? Serum is widely used to study the immune response to infections. It is particularly useful for detecting evidence of infections caused by viruses, bacteria and parasites that can’t be grown in clinical laboratories. While molecular methods like real time PCR assays have taken on this role, detection of microbial nucleic acid in blood is fundamentally different from serological confirmation of an immune response to that infection. 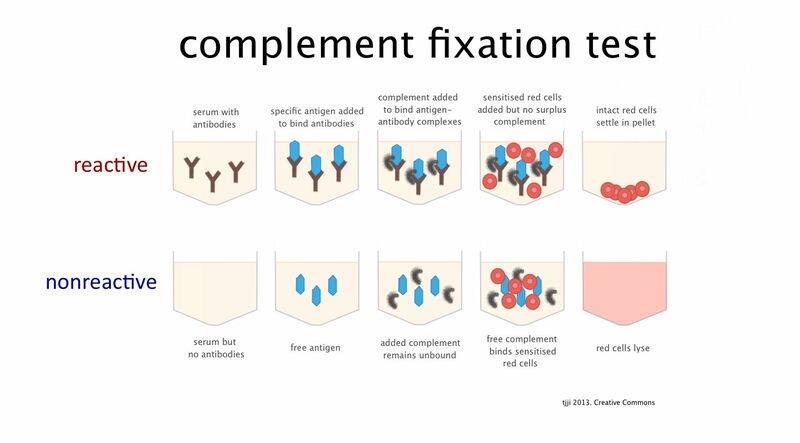 There are plenty of examples of effective serology/PCR assay combinations in clinical microbiology. 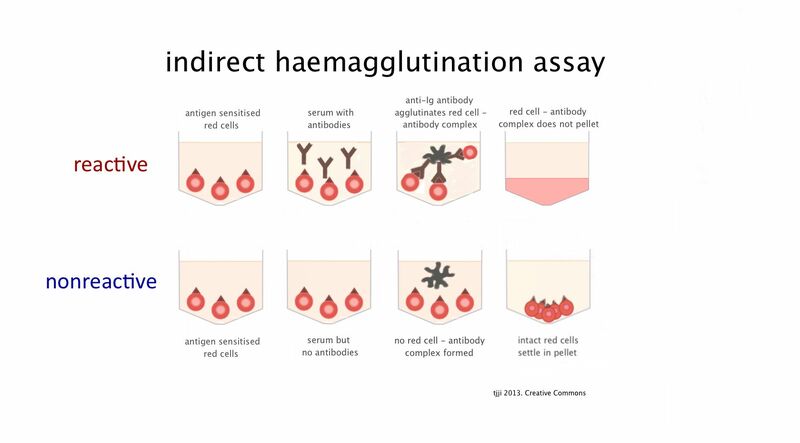 How can we detect antibodies? No serological method produces living microorganisms for in vitro analysis. Culture-based methods are needed for identification of treatment-critical features like antibiotic resistance that require live bacteria or viruses. Even the most widely used serological methods have their limits. Most methods are prone to false positive and false negative methods to a greater or lesser extent. IgM assays are liable to interference by rheumatoid factor and competing specific IgG. 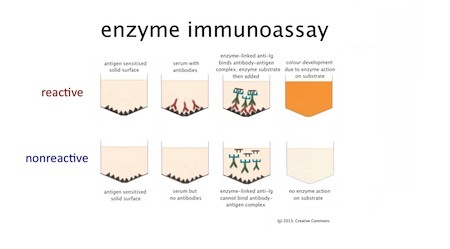 No assay method can be read without positive and negative controls. Semi-quantitative methods require a dilution series. Small fluid handling inaccuracies can result in a variation of up to one dilution, so that a significant change in titre between two points on a patient’s timeline really needs to be a variation of at least two dilutions. That normally equates to a four-fold rise in antibody titre. Between batch variations in endpoint detection is one good reason why comparison of titre in paired serum samples from a single patient (usually separated by 7-10 days) is the preferred approach in serodiagnosis of acute infection. 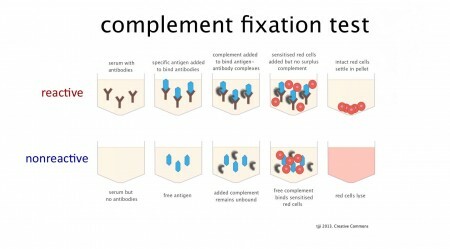 So, how can we interpret serology results? These problems and others that are specific to assay methods ensure that serology result interpretation is a job for well-practiced specialists. 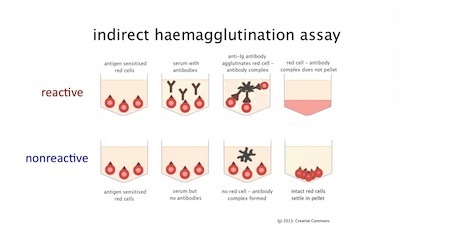 Results from serum specimens must be compared against known positive and negative controls to ensure that (a) the assay has worked and (b) its accuracy is in accordance with previous performance. Confidence is higher for paired serum samples from a single patient. In some circumstances, a series of sera may need testing at intervals. In the case of some blood borne viral infections, most notably hepatitis B and HIV, well studied antigen generation and antibody reactions can be used to form a comprehensive picture of disease progression or resolution. An increasing number of infections are followed by a combination of serological and nucleic acid assays. This adds further accuracy to original serological markers of infection.